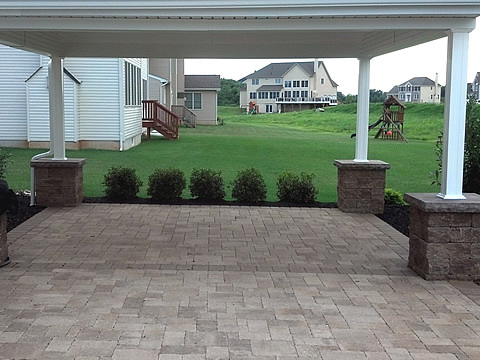 Techo-Bloc paver patio using the Athena paver in harvest gold color. 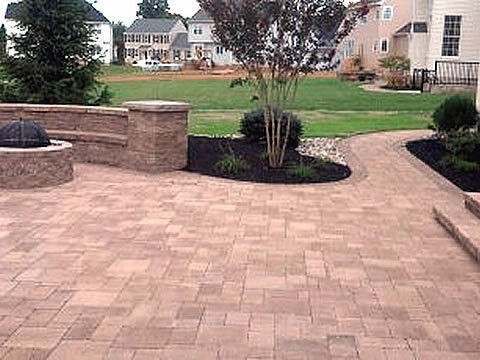 Paresien paver border chocolate color. 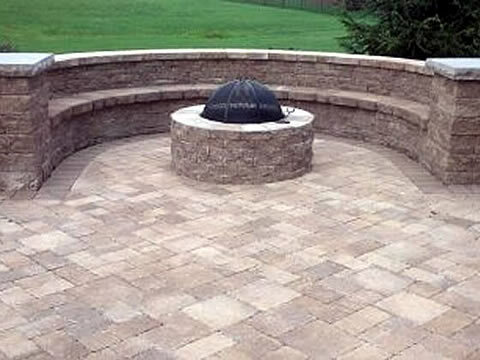 A bench style seat is incorporated around a Valencia firepit. 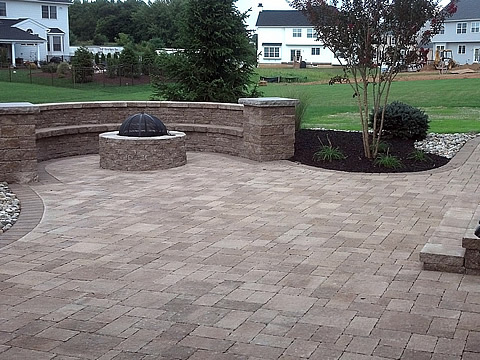 Completely landscaped with hand chosen material.